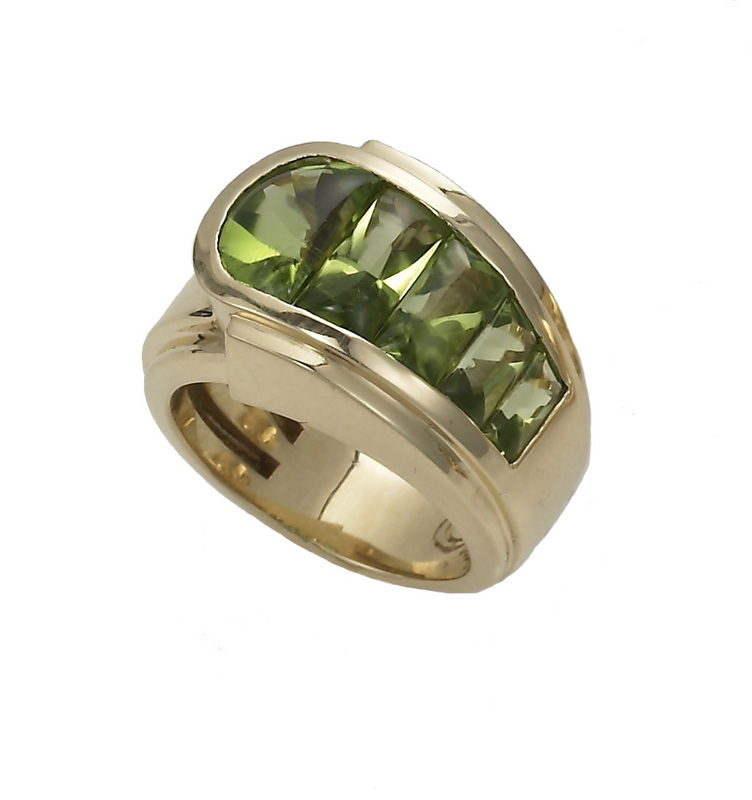 18KT yellow gold Pop Top ring channel set with buff-top Pakistani peridots. Signed Meriwether. Also available in citrine and pink tourmaline.